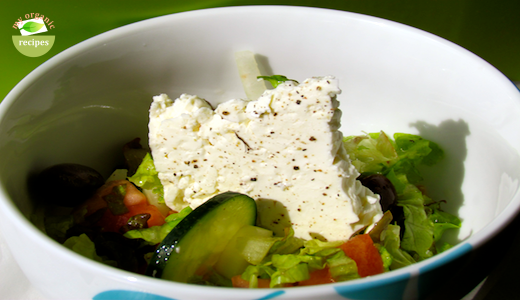 Spring greek salad is a very quick and easy recipe that is delish! 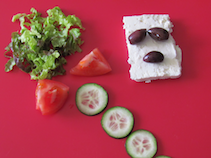 This greek salad is great even without any lettuce, getting its satisfying crunch from bright green cucumbers instead. 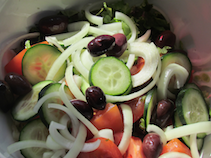 Combine the tomatoes, cucumber, onion, olives, lettuce in a large bowl. 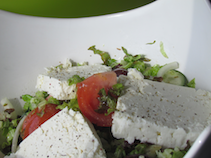 Sprinkle the salad with oregano and pour the oil, vinegar, salt and mix. 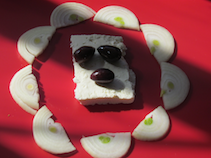 Place the cheese on top. Season with fresh ground pepper. 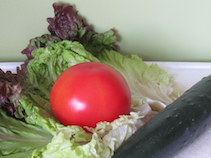 Serve the salad at room temperature.